ZTE presents the Mimosa X, world's first smartphone to feature NVIDIA's Tegra SoC plus the company's Icera 450 HSPA+ (21Mbps) modem. The phone is expected to debut next quarter, with pricing said to be in the mainstream range of the market, which is quite a surprise considering previous Tegra-based phones were all geared towards the top-end of the market. The Mimosa X runs Android Ice Cream Sandwich, offers a 4.3" screen with a 960 x 540 pixel resolution, includes 4GB internal storage, microSD memory card support, a 5MP digicam and a front camera for videocalling. "The ZTE Mimosa X is exciting for a few reasons," said Michael Rayfield, General Manager of the Mobile business at NVIDIA. "The Mimosa X marks the first time NVIDIA technology powers all the major processors in a single smartphone, and also the first time a premium mobile computing experience is coming to the mainstream smartphone market." The Mimosa X is powered by the NVIDIA Tegra 2 mobile processor, featuring a dual-core CPU and GeForce(R) GPU, and the NVIDIA Icera 450 HSPA+ modem, comprising baseband and RF processors, featuring excellent throughput and low power. 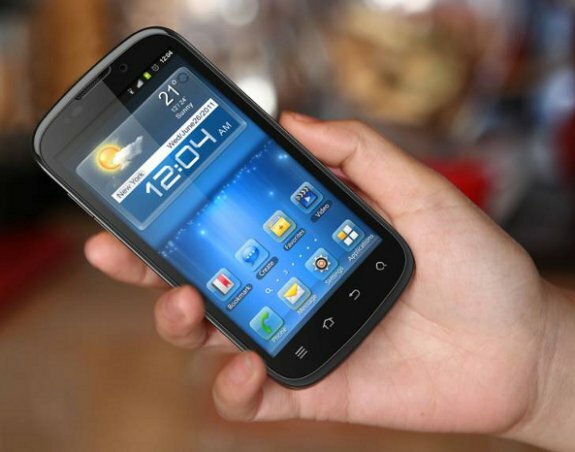 It will run Ice Cream Sandwich (Android 4.0), feature a 4.3-inch qHD (960 x 540) screen, rear 5 MP and front cameras, and 4 GB of storage expandable to 32 GB. The ZTE Mimosa X will deliver super multimedia capabilities, including advanced audio distribution profile (A2DP), Dolby sound, digital living network alliance (DLNA) compatibility for easy sharing of content, HD video record and play, dual microphones, and built-in gyroscope. The Mimosa X will be launched around Q2 2012. Positioned squarely for the mainstream market, it brings new levels of performance and connectivity to this large segment of users. Consumers will now be able to use a mainstream smartphone to experience the same speedy web browsing, smooth multitasking, and HD video, as well as console-quality gaming with TegraZone, that was previously available only in high-end phones. TegraZone(TM) is NVIDIA's free Android Market app that showcases the best games optimized for the Tegra processor. The NVIDIA Icera 450 supports up to 21Mbps category 14 HSPA+ with fast downloads in fading channels, IceClear(TM) interference cancellation technology for even faster throughput at the cell edge and advanced Release 7 features for an ultra-low latency network response.